Jihee Huh is a business leader, philanthropist and activist. 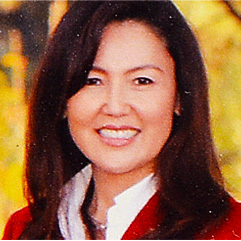 Currently, Jihee is the Vice-Chair and President of New Business Development at Pacific American Fish Company. She is the Co-Founder and President of the Pete’s Seafood Club retail brand products. In 1970 and at the age of 7, Mrs. Huh immigrated to the U.S with her mother, Mrs. Kyung hee Kim, late father, Hyung Ki Kim, and younger brother, Anthony Chang Kim. Her late father who came to the US in 1964 was one of the pioneer Korean American business leaders in New York City helping the immigrant Korean Americans build their lives in the early stages . His business KPC helped build many small business owners that prospered to the present time. Jihee Huh studied at the prestigious Manhattan school of Music preparatory school for the gifted and at age 13 years debuted at Carnegie Hall which was broadcasted on the public radio. She completed her high school work at famous High School of Performing Arts in New York City and received her bachelor’s degree in Criminal Justice at St. John’s University in 1986.In 1987, Jihee. Huh married Peter Huh current Chairman and Co-founder of family owned business -PAFCO established in 1977. They moved to Los Angeles where she began her career in real estate development. As the top producing associate of Kennedy Wilson she expanded her network as a business leader. After the family moved to Palos Verdes her two children attended Chadwick school where she joined the Chadwick School Board. She was able to focus on community engagement. In addition her activist work was ignited by the Comfort Women movement which in 2005 was a failed issue. Jihee joined the Southern California Public Radio Board in 2005 and served on the board for over twelve year to present as Life Trustee. In 2012, she received the Congressional Service Award for her efforts in the successful passage of House Resolution 121 in 2007 (A resolution expressing the sense of the House of Representatives that the Government of Japan should formally acknowledge, apologize, and accept historical responsibility in a clear and unequivocal manner for itsImperial Armed Forces), Jihee has served as SCPR Chair of Governance committee, Chair of the Finance Committee and Chair of the Board of SCPR until retiring in 2015 as Life Trustee Active of the Board of SCPR. Jihee and Peter wholeheartedly believe in the value of Public Service Journalism which fundamentally must exist to serve our Democracy in America. Her additional philanthropic works include: The Children’s Hospital of Los Angeles, serving as Vice- Chair of Saban Research Institute, CAUSE (Center for Asian United for Self Empowerment), supports the Human Rights Watch international work and KAFC – Korean American Forum of California. )Jihee has completed the Harvard Executive Business School Program-”Governing for Not for profit- Excellence”, to sharpen the tools for nonprofit excellence and impact. In June of 2016, she participated in the international Human Right Watch Summit in Berlin, Germany. The Huh family currently resides in Rolling hills, Ca, New York City, Seoul where they continue to work to serve the diverse community by giving their resources and actively participating in civic empowerment and political engagement. Jihee and Peter have two Children, Amanda Huh and Christopher Huh, who have recently graduated from of Amherst College. They are alums of their father and uncle- Anthony Kim. Peter and Jihee have also established the -Peter Yun Huh Scholarship Fund 1982’ at Amherst College to serve the Asian American Students.